As a collaborative course project we are designing a black and white publication where the artists taking part must each draw an enviroment and place in it a giraffe. 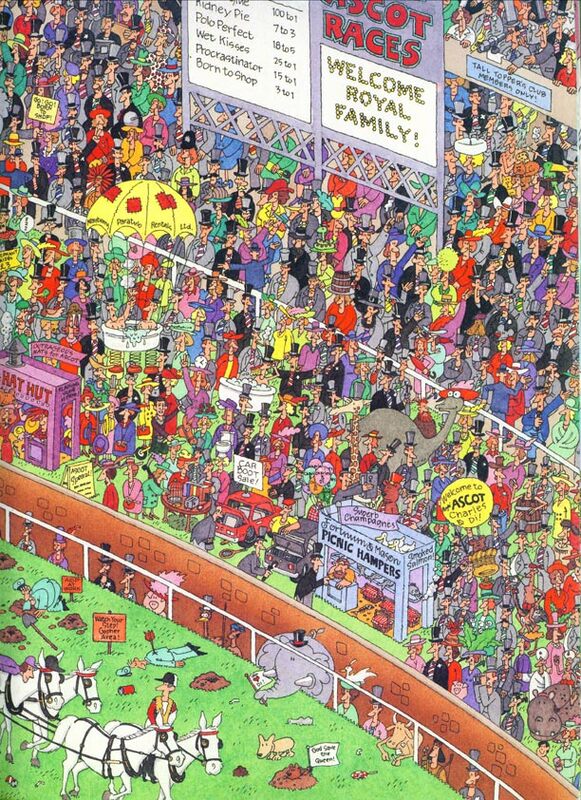 I think the idea is a kind of ‘Where’s Wally’ but with many different interpretations. I found this image by Bron Smith, It even has a hidden giraffe. (www.bronsmith.com). So I think a crowd scene would work well for this project. My first thought was a video arcade, ‘high score’ – because of the giraffe.. 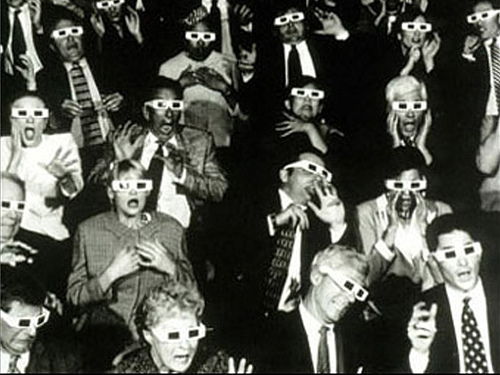 But then i started looking at images of crowds and i found some great images of cinema audiences with 3d glasses on, I thought of this because no one would want to sit behind a giraffe at the cinema. 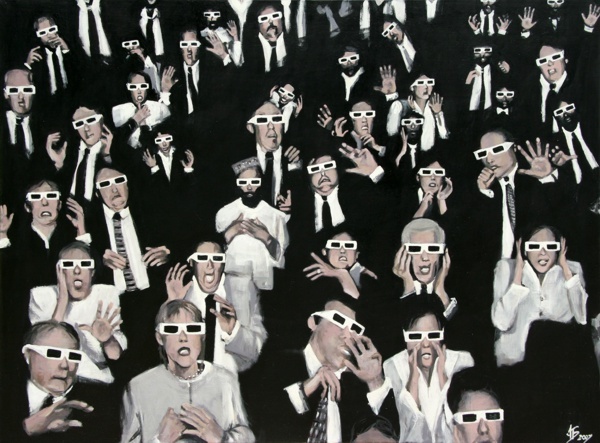 http://www.breathwick.com/home.htm Anne Breathwicks painting captures the idea, lots of scope for a black and white image with the glasses and the suits and ties. I also found this photograph which was obviously used as a major source of reference. This entry was posted in Uncategorized on November 14, 2011 by jonskibeat.